Thank You for helping Make Some Noise! Make Some Noise Cheque reveal! Thank you Thursday! 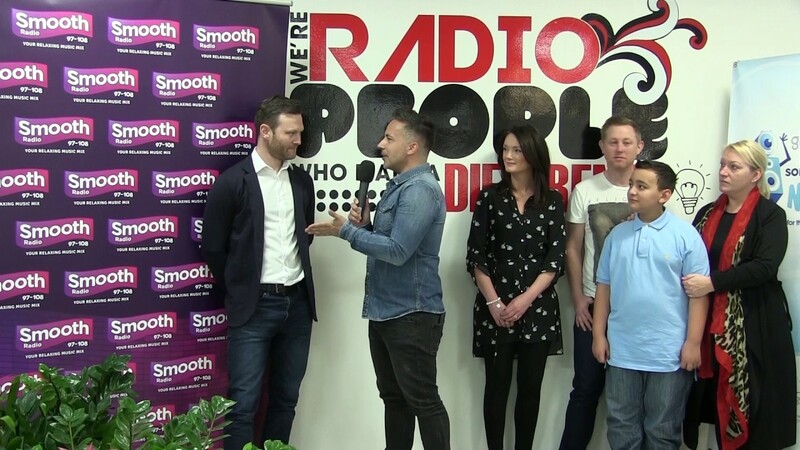 See Smooth Radio surprise the North West's Once Upon A Smile with their big cheque from Make Some Noise! Over the last 12 months, you've helped Smooth Radio's charity Global's Make Some Noise raise in excess of £2.8 million to help small children's charities across the UK get heard. One of the charities we've supported here in the North West is Once Upon A Smile, dedicated to helping children who have suffered bereavements. They requested £25,000 from Make Some Noise to fund a Children’s Bereavement Support Development Manager for a year. This role is so important as they look after every aspect of the bereavement support programme - from assessing the youngsters' needs and organising group sessions, to delivering training to volunteers. Over the last year, we've seen the incredible work that Once Upon A Smile do first hand, so we didn't want to stop at £25,000! With your generosity we are going to be able to fund not 1 but 2 years of a Children's Bereavement Support Development role, and cover the costs of all the materials for Arts & Crafts therapy sessions for a year. Plus, we'll also fund a brand new Schools Bereavement Support Worker, helping Once Upon A Smile to reach out to children who wouldn't otherwise be able to access the charity for support! Thank you from everyone at Smooth Radio, Once Upon A Smile and all the charities across the UK supported by Global's Make Some Noise for changing young lives.